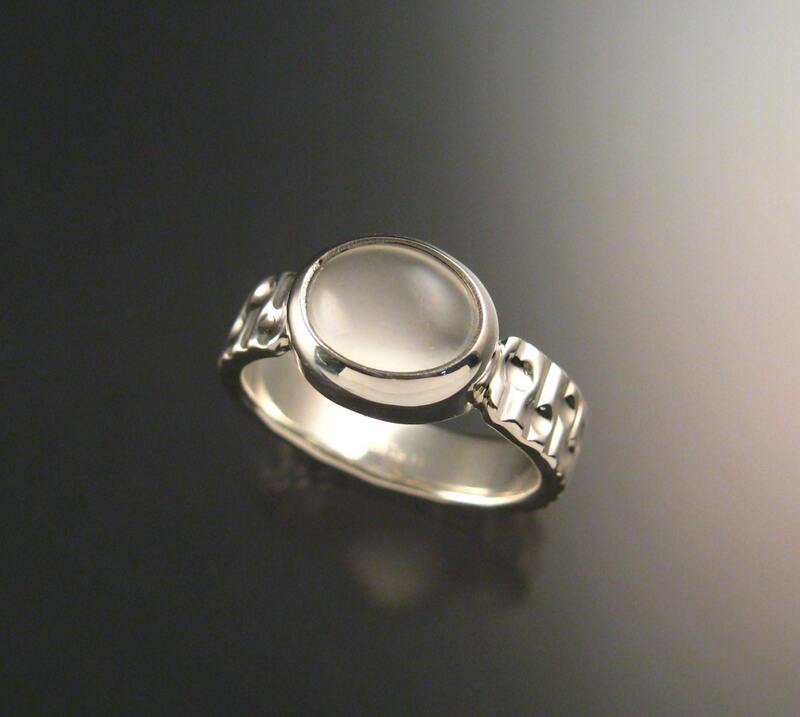 This pretty ring features a bright Moonstone 8x10 mm oval. 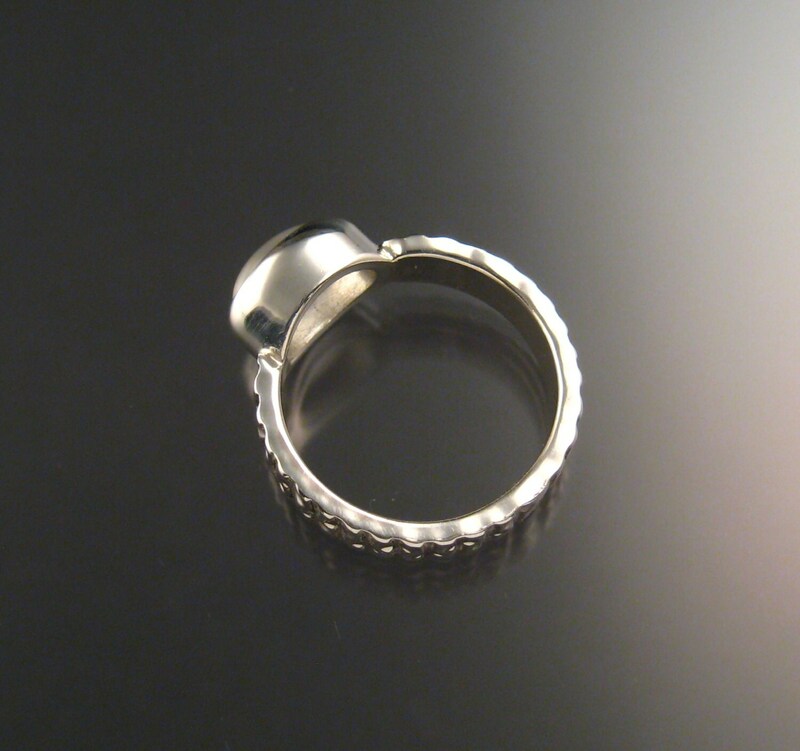 Bezel set with 2x5mm craters and grooves stamped band. 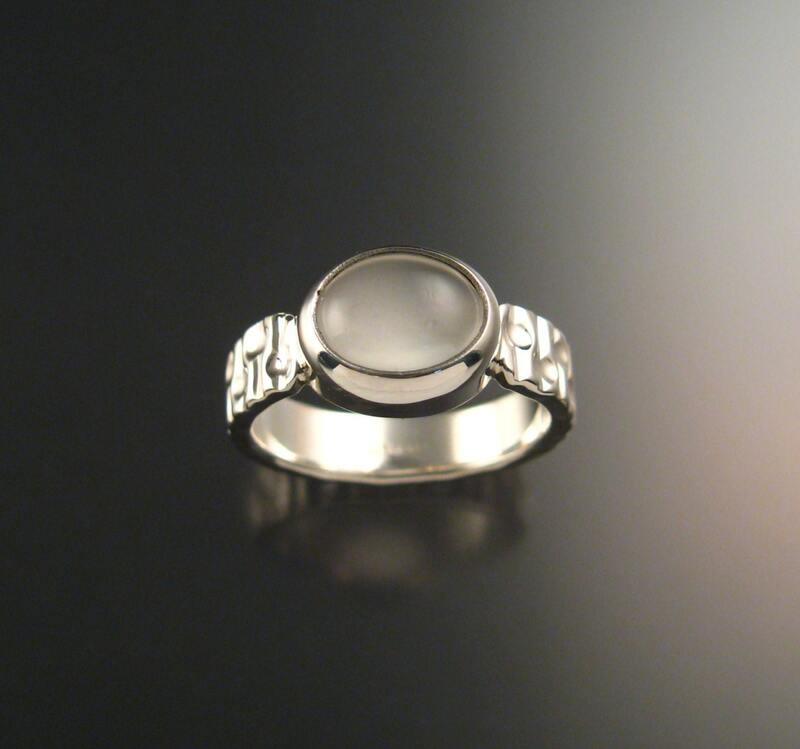 The pictured ring is size 8 1/2 and is ready to ship. 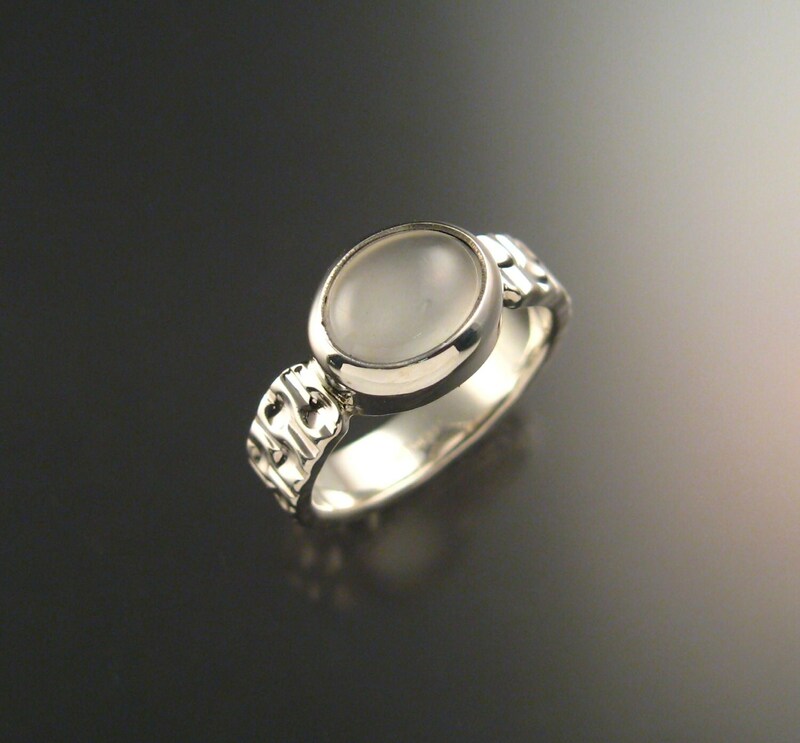 I can make this ring in any size between 7 and 12. 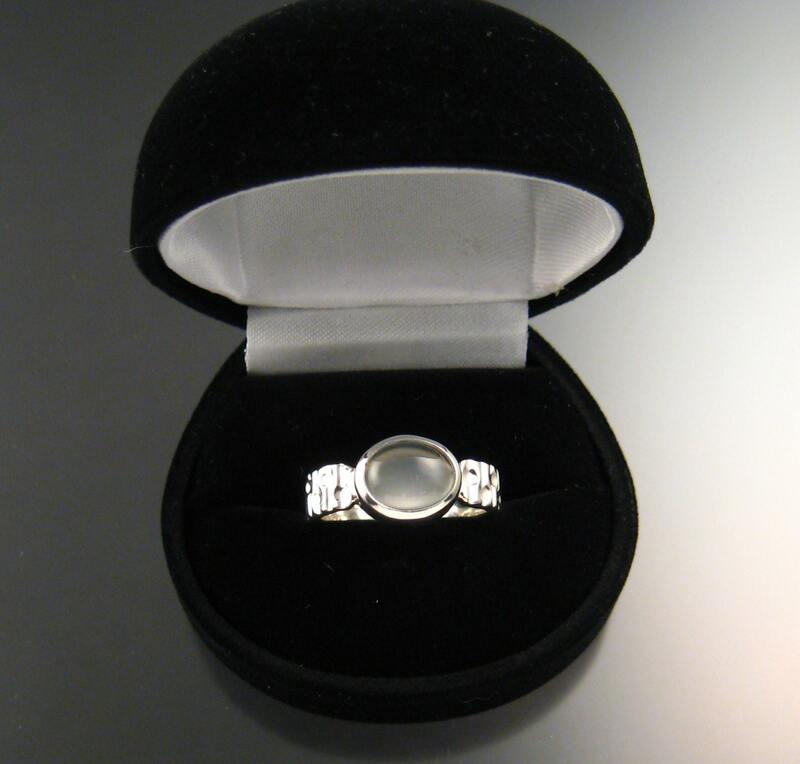 This is one of the most beautiful rings I have! I just LOVE it! It is perfectly sized and Graham was easy to communicate with and very accommodating. Also shipped very quickly. Thank you so much and your shop is one of my favorites now!